This excerpt from St. Gregory of Agrigentum is an example of the Early Church Father’s spiritual interpretation of Scripture whereby realities of the Old Covenant are seen as pointing beyond themselves to Jesus Christ and the realities of the new dispensation. In this case, the literal meaning of the Old Testament author’s exhortation to eat bread in gladness and to drink wine in joy of heart is acknowledged. 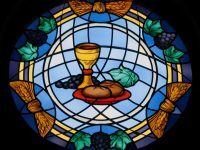 But this text is also seen as referring to the joyful appreciation of the Eucharist, the mystical sharing in Christ’s body and blood under the signs of bread and wine. Such an approach to biblical interpretation is known as spiritual exegesis or mystical understanding of Scripture. Come, eat your bread with joy and drink your wine with a glad heart; for what you do, God has approved beforehand [Ecclesiastes 9:7]. This exhortation of Ecclesiastes is very proper if you take its words in their ordinary everyday sense. If we embrace a simple rule of life and let our beliefs be inspired by a sincere faith in God, we should eat our bread with joy and drink our wine with a glad heart. 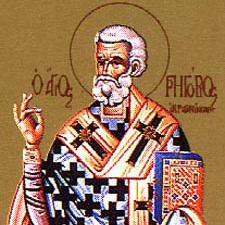 We should not fall into slanderous speech or devote ourselves to devious stratagems; rather, we should direct our thoughts on straight paths and (as far as is practicable) help the poor and destitute with compassion and generosity – that is, dedicate ourselves to the activities that please God himself. But the same text can be given a spiritual meaning that leads us to higher thoughts. It speaks of the heavenly and mystical bread, which has come down from heaven, bringing life to the world, and to drink a spiritual wine with a cheerful heart, that wine which flowed from the side of the True Vine at the moment of his saving passion. Of this, the Gospel of our salvation says: When Jesus had taken bread and blessed it, he said to his holy disciples and apostles, Take, eat; this is my body which is being broken for you for the forgiveness of sins. 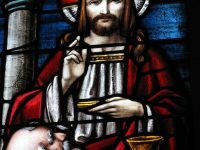 In the same way he took the cup and said, Drink from this, all of you: this is my blood, the blood of the new covenant, which will be shed for you and for many for the forgiveness of sins. For whoever eats this bread and drinks this mystical wine enjoys true happiness and rejoices, exclaiming: You have put joy into our hearts. 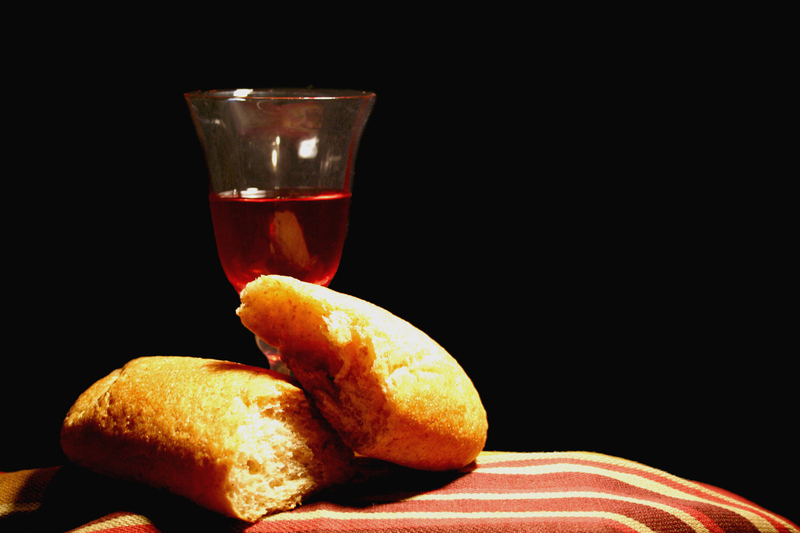 Moreover, I think this is the bread and this is the wine that is referred to in the book of Proverbs by God’s self-subsistent Wisdom (that is, Christ our Savior): Come, eat my bread and drink the wine I have mixed for you. Thus he refers to our mystical sharing in the Word. For those worthy to receive this are forever clothed in garments (that is, the works of light) shining as bright as light itself. As the Lord says in the Gospel, Let your light shine before men, so that they may see your good works and glorify your Father who is in heaven. And, indeed, oil will be seen flowing eternally over their heads – the oil that is the Spirit of truth, guarding and preserving them from all the harm of sin. This post on the mystical, spiritual bread of the eucharist is an excerpt from St. Gregory of Agrigentum’s commentary on Ecclesiastes (Lib. 8,6: PG 98, 1071-1074). It is used on Friday of the seventh (7th) week in ordinary time with the accompanying biblical reading taken from Ecclesiastes 8:5-9:10. Gregory was born in the sixth century AD near the town of Agrigentum, in Sicily. He was ordained a deacon while on Pilgrimage to the Holy Land and was later consecrated bishop of Agrigentum in Rome, serving during the time of Pope St. Gregory the Great, who addressed several letters to him. 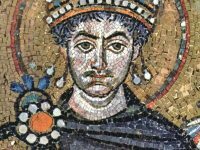 He died around the 594, and is regarded as one of the Early Church Fathers.